1) Chop salted fishhead into chunks about 7cm size. 2) Soak in tap water for half an hour. look like fishmeat to you. remove any smell and also to make it easier to cut the pork neatly. 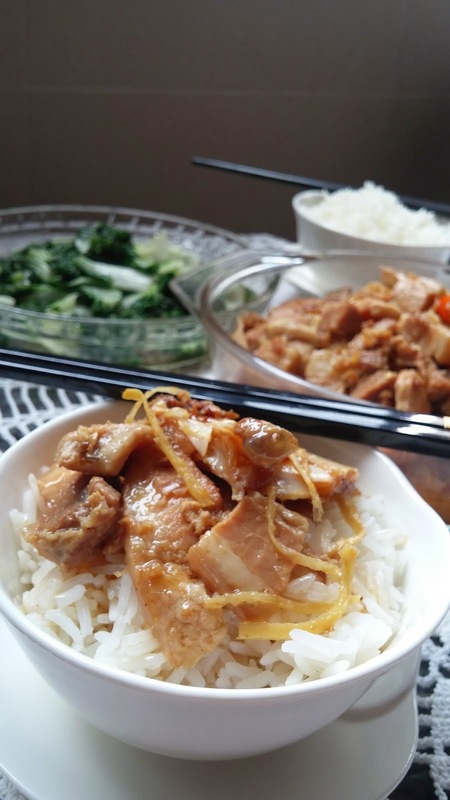 6) Cut pork into 1.5cm thick pieces and set aside. 8) In the same pan, add the pork (discard any bloody water) and fry till slightly caramelized. 9) Add ginger strips and fry till fragrant. Add garlics and fry till fragrant. 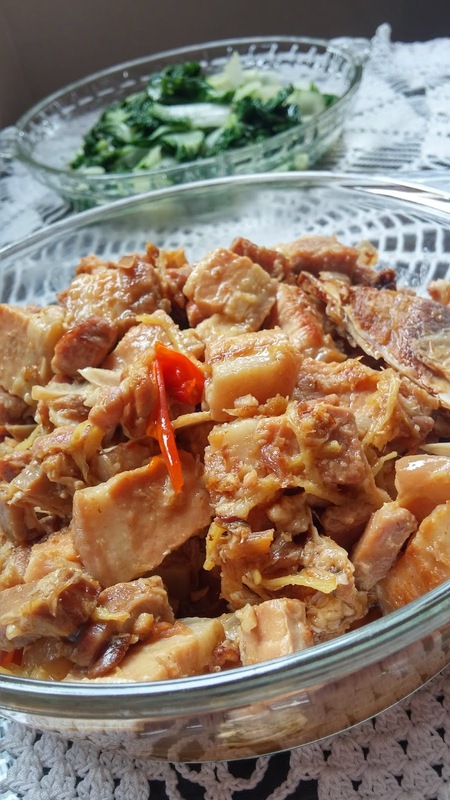 10) Return pork and fishhead to the pan and fry to mix well. If using chilli, you may add it now. simmer, topping up the water till pork is tender and the skin and fats are melt-in-the mouth. 12) Adjusts seasonings if necessary. (use light soya sauce). collagen from the pork skin and fats. would be just nice. Don't forget 3/4 of the 500gm is the bones. Ginger is a critical ingredient in this recipe so the more the merrier. The dish improves in taste the next day.